The Gladwells Pet and Country Store Team from the Rayleigh Branch in conjunction with Brigadiers Choice Premium dog food attended the new Paws In the Park Dog Show on the 30th of June and the 1st of July at the Barleylands show ground near Billericay. All our visitors had the chance to snap up some bargains, get some free samples and also receive an in store discount voucher for our Rayleigh store. Three furry friends visit the Gladwells Pet and Country Store stand for a drink and treat at Paws in the Park. 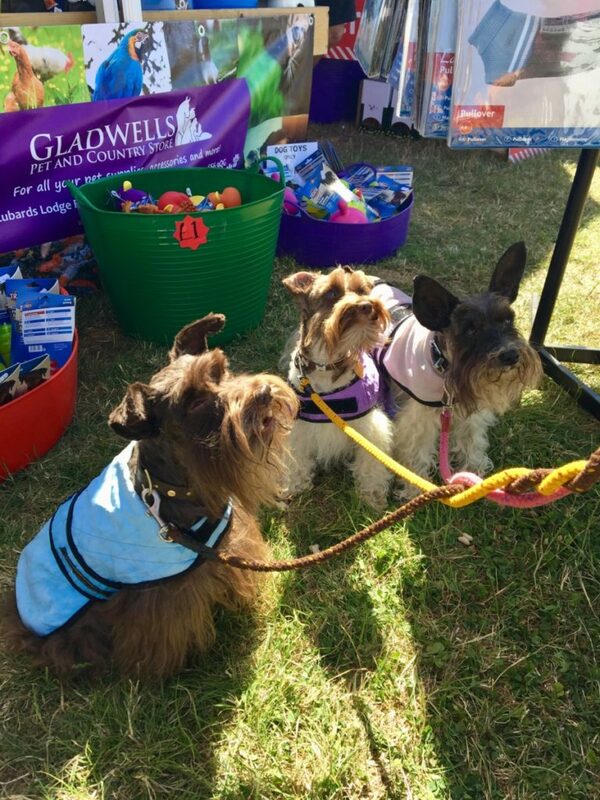 As you can see these three cheeky little dogs came and got themselves some bargains and cooled down at our free drink and treat station…It was a very hot weekend and all the dogs and their owners needed to keep cool, it was a great show and we look to attend again next year….